According to Rover.com, more than 50 percent of dog families choose to name their pooches after a character from a favorite book, TV or movie franchise. From "Game of Thrones" to "Harry Potter," pop culture hits influence pet parents to get creative, and names like Arya and Dobby are the inevitable result. The pop culture franchises that typically have the greatest influence on dog names are those with fantastic or inspiring angles, proving that dog parents really love to imagine their furry family members as powerful, magical beings. It makes sense, of course. Dogs bring so much joy and happiness into families' lives, it's as if they have superpowers. 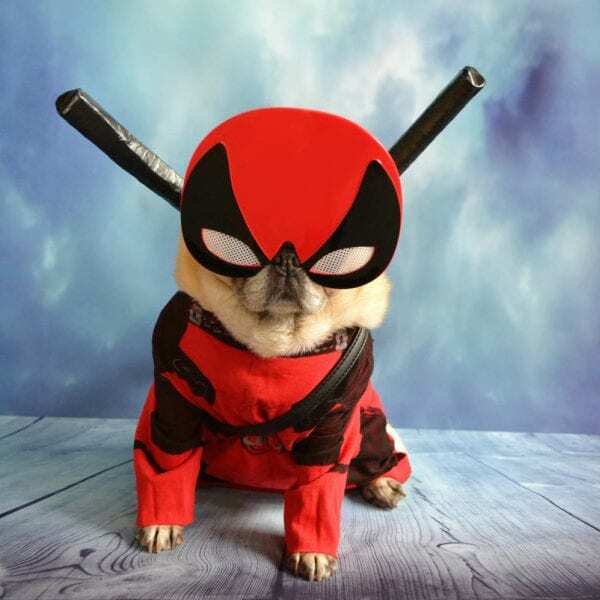 The rising popularity of superhero movies over the last decade has led to a significant rise in pets named after characters in superhero movies, particularly for male dogs. Names like Bruce (for Bruce Banner or Bruce Wayne, the alter-egos of the Hulk and Batman, respectively), Loki and Thor appear on Rover's list of the 100 most popular dog names for 2016. With "Wonder Woman" earning its fair share of attention in the genre as one of the first major releases with a female protagonist, 2017 may be the year for female dogs to earn some recognition in the superhero name game. Diana, Wonder Woman's first name, could easily become one of the most popular girl dog names of the year. Animated movies are always popular sources for pet names, and two of the names on Rover's list of most popular dog names for 2016 come from the animated classic "The Lion King." Even decades after the movie's original release, Simba and Nala remain hugely popular names for dogs. Many of the animated films slated for release in 2017 are sequels, which somewhat limits the addition of new dog names inspired by this genre, but there is one exception. Pixar's "Coco," which is scheduled for release later this year, features an adorable canine character whose name, Xolo, could make its way into the hearts and minds of new dog parents. The “Captain Underpants” movie is also set to capture kids’ imaginations this year, which could lead to a crop of pups with cute Underpants-inspired names like Benny and Captain. Science fiction and fantasy are common sources of pet-name inspiration, and 2017 has some potential winners in these categories. "Star Wars: The Last Jedi" is scheduled for release around Christmas, and names like Luke, Finn, Leia and Rey — all of which are already popular — are likely to experience renewed surges in popularity. We may also see a spike in dogs named Valerian or Laureline thanks to “Valerian and the City of a Thousand Planets,” the latest sci-fi release from “Fifth Element” director Luc Besson. Stephen King’s “The Dark Tower,” another book-to-screen adaptation, is also likely to get some love from dog parents thanks to its grizzled gunslinger protagonist, Roland, who will be played by actor Idris Elba. TV also offers some new sources of inspiration. "The Handmaid's Tale" is a bit dark, but the strength of its lead character could inspire some dog parents to name their female pups June. Beyond Arya, "Game of Thrones" continues to entice people to name their pets creative, historical names like Yara, Davos, Tyrion and Brienne. The teen murder mystery drama "Riverdale" also provided fresh inspiration in the form of revived comic book character names Archie, Jughead, Betty and Veronica. If you're struggling to find the perfect name for the new four-legged addition to your family, pop culture icons are a great place to start. If current offerings onscreen or in the pages of the top bestsellers aren't jumping out at you, go back to the classics. Whether you love the characters from "The Lord of the Rings" or a popular Disney princess movie, you can rely on fiction to provide a full range of fun monikers for your beloved pets. I named several of my dogs after WWE Wrestling Superstars. As I'm a big fan of wrestling,it was a way for me to let people know that. My dog, Woo is named for Ric Flair who's famous " Woooooooo" is known by everyone who is a fan. His reg. name is Jaroufa's Nature Boy. Others include, Roman,Natalya,Brock,Hunter,Tamina,and Diva. We named our dog Bilbo once, because he was a short, squatty mutt, and we thought if there had been a dog in The Hobbit it would have looked like him. The name should be easy to call, though. Explaining the dog's name over and over, how is it spelled, etc. can get old! With all the horrific cruelty to animals that goes on in this country and in the ever shrinking world we live in, names are the least to be concerned with. I personally have always named my dogs "people" names. I look upon my dogs as wonderful, intelligent, intuitive, compassionate, and protective little souls, much nicer than 99% of people but deserving of human names. If it makes someone feel good or noticed because their dog has a name that was heard in a movie or in a song, so be it, just as long as that dog is well cared for and loved.